On August 13, 2004. U.S. Marines from Marine Corps Air Station Futenma In Ginowan City, Okinawa, Japan invaded and occupied a large section of the Okinawa International University campus after a CH-53D Sea Stallion heavy assault transport helicopter crashed into the OIU Administration Building. In this section we describe the events as they unfolded on the day of the crash, and in the subsequent days, weeks, and months. These pages will be updated and revised as new information is received. 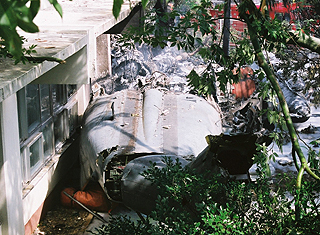 Helicopter Crash Information Network, All Rights Reserved.